Technology in fire doors has improved over recent years but it remains vital to make sure your purchase is certified; read on to find out why. Fire doors are no longer restricted to the heavyweight and industrial styles found in commercial premises, made of materials such as steel and asbestos. For health reasons that have become apparent over the years, asbestos is no longer a suitable material. Fire doors can now be made of anything from oak wood to vermiculite and glazed internal doors can now be produced in fire resistant forms. However, because of the advances in fire retardant technology, it’s even more important to check that a fire door has been certified by a third party before buying. Certification means that a fire door will be tested before going on the market. It must meet the high standards required by third-party assessment, so that customers can be assured that the product has been independently checked. The door is tested in simulated conditions so that its safety can be accurately gauged. The door set and frame must be exactly fitted in the test environment as they would be in the home, with no gaps beneath or around the frame. The test door is then exposed to a heat source on one side and its reaction in terms of stability and performance is observed. Fire doors sold today must come labelled with a fire rating, so that consumers can see how effective the door would be in the event of a fire. Ratings are measured in minutes and are designed to allow people sufficient time to find alternative routes out of a building. The minimum requirement is usually a 20-minute rating, or ‘FD20′ but ‘FD30′ is increasingly becoming the industry standard for domestic doors. With fire door design becoming ever more suitable and visually appealing for the home, consumers are now buying fire resistant products even where this is not a key requirement, choosing them for their durability, sound-proofing and insulating qualities. 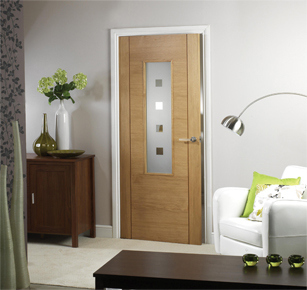 Contemporary oak doors as well as other timbers have all been adapted to fire resistant standards, ensuring that the dual purposes of safety and style are both satisfied and customers have more options than ever before. Ensuring that a fire door has been properly tested provides peace of mind at the very least and could potentially save lives in the home. 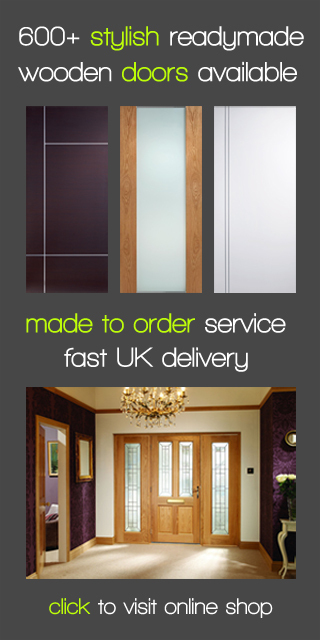 To discuss any queries or concerns regarding fire doors, please contact the Modern Doors team for further advice.